New Year, New Goals... New Errors? It's 2019, can we focus on the positive? Or do we need to maintain our efforts to eliminate the negatives? As we congratulate ourselves on the latest advances in our field, we often neglect the core competencies that got us there in the first place. Even the most sophisticated new technology still needs to be monitored by appropriate quality control. The skills of quality control have atrophied in many labs, if they were present at all. Even the best methods won't work correctly if we don't know our rules. Given today's financial pressures, it's a terrible waste if it turns out we may be "over-QC'ing" methods that actually don't need so many rules. Is everything getting better? Is everything getting worse? Both at the same time? As part of the New Year, we're putting out a "new" set of Quality Goals. 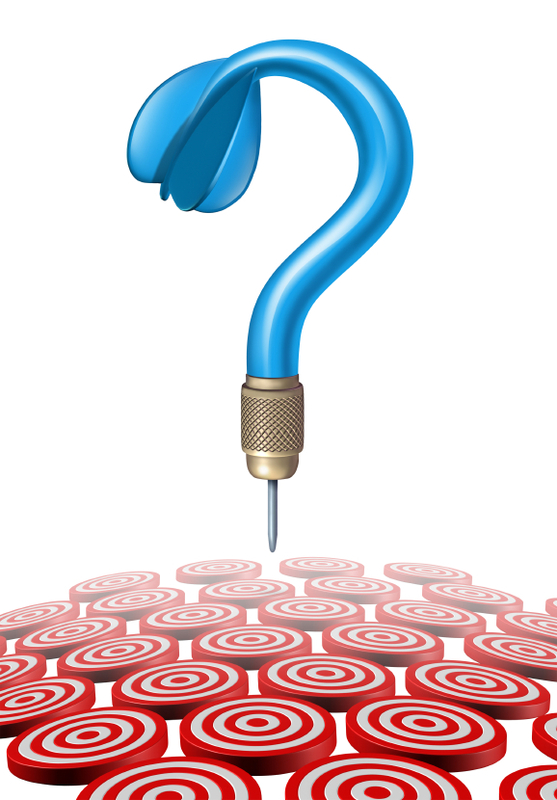 Rather than wait for an official organization to pronounce the acceptability of one set or another set of goals, we're going to forge ahead and help YOU decide which goals are right for your laboratory. 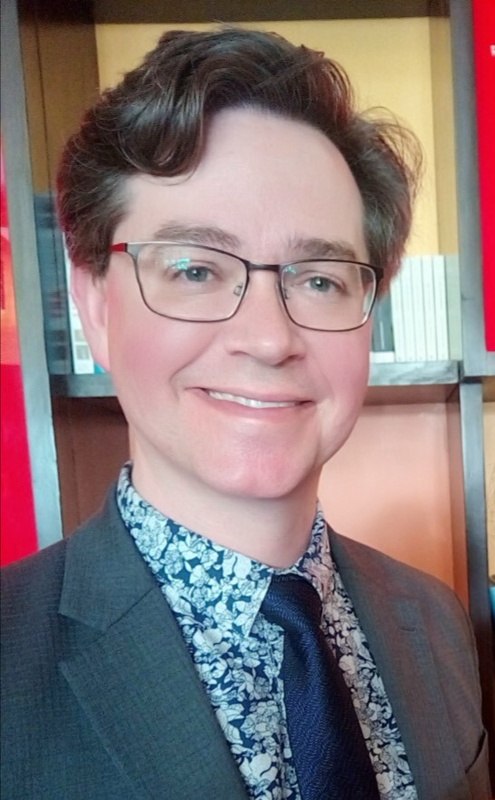 In a time where "truth isn't truth" and "alternative facts" are commonly deployed, we fear that quality also suffers and may be further compromised in the future. Quality, and Truth, are more important than ever. The truth, the whole truth, and nothing but the truth - can we achieve that in laboratory medicine at least - even if it's no longer possible in politics? In December, the largest laboratory in St. Petersburg joined the Sigma Verification of Performance program. 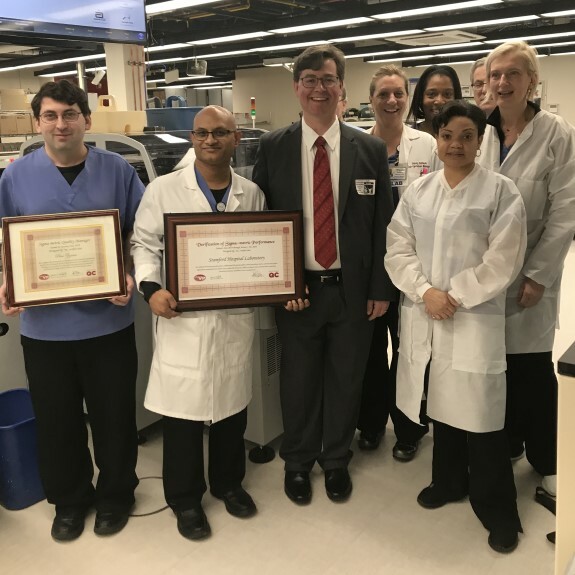 Stamford Hospital Laboratory becomes the first lab in Connecticut and the Northeast US to achieve Sigma Verification of performance. 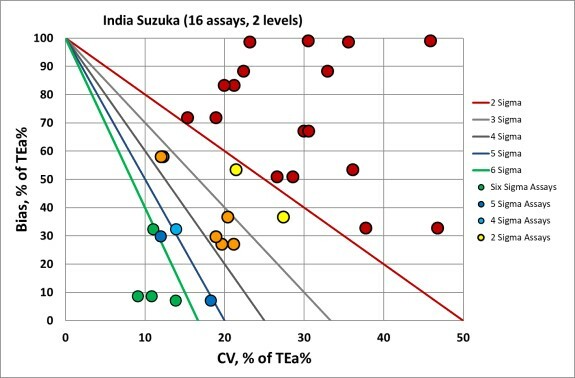 A recent study examined the performance of a Randox Suzuka autoanalyser in an Indian laboratory. Can the Suzuka hit analytical quality goals from the USA? Coming to LabQuality Days in February. Join me in the cold north! Auditorium 103 (Roche Diagnostics), session: Quality Control Reinvented? Congratulations, Happy 50th, Caledonia Biomedical Laboratory! Congratulations to Biomedical Caledonia medical laboratory of Jamaica and their 50th anniversary. I was happy to help them celebrate the milestone with some discussion of milestones in quality and control rules. Special thanks to Mrs Barbara Hendriks for hosting me. Thanks to Dr Eunice Forrester for her lecture on QSEs and finally thanks to Karlene Cole and Abbott Diagnostics for supporting the event. Recently I had the rare privilege to attend the SLMTA symposium in Abuja Nigeria. Less than a decade ago, this effort started Strengthening Laboratory Management towards Accreditation. From humble beginnings this program has developed into a quality training powerhouse , featuring the most effective QC curriculum, dedicated staff, and truly energized participants. Have you ever heard of a laboratory training conference that ends with a dance contest? Well SLMTA does that. And more than 1300 labs in over 50 countries have benefited from this training. 57 labs in Africa have reached accreditation and more follow every day. See Http://www.slmta.org to understand just how much impact this program is having on the world's labs.